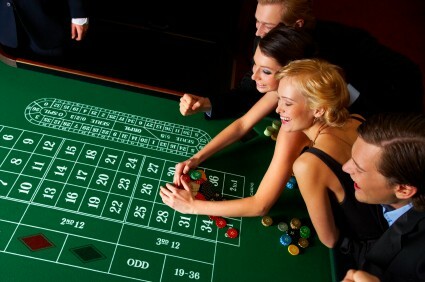 Don't Gamble...go with a Sure Thing for your CASINO NIGHT! Joel Nelson Productions can make your Casino Night an extravaganza to remember. 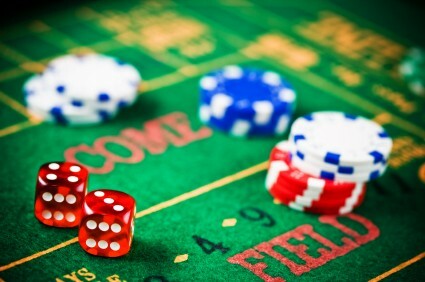 With trained staff and dealers to lead exciting Vegas-style action including Roulette, Texas Hold 'Em Tournament Poker, Blackjack, Craps, we are prepared to make you and your guests Big Winners. So scratch that itch and have a blast...JNP is dealing fun! The Shuffle, The Deal and The Blinds - The dealer shuffles a standard 52-card deck. (In casinos, the dealer never plays. A round disc -- known as a "dealer button" -- moves clockwise from player to player with each hand. 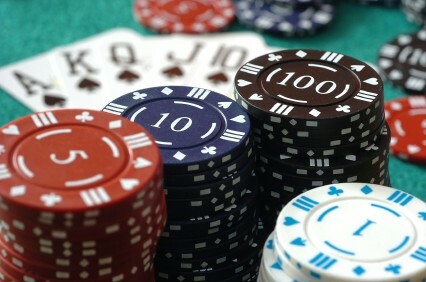 The button marks which player would be the dealer if the deal were advanced from player to player as the game went along. )Most Texas Hold 'Em Poker games start with the two players to the left of the dealer (the button) putting a predetermined amount of money into the pot before any cards are dealt, ensuring that there's something to play for on every hand. This is called "posting the blinds." Most often, the "first blind" -- the player to the left of the dealer -- puts up half the minimum bet, and the "second blind" puts up the full minimum bet. Each player is dealt two cards, face down. These are known as the "hole cards." Betting Begins-A round of betting takes place, beginning with the player to the left of the two who posted the blinds. Players can call, raise, or fold when it's their turn to bet. 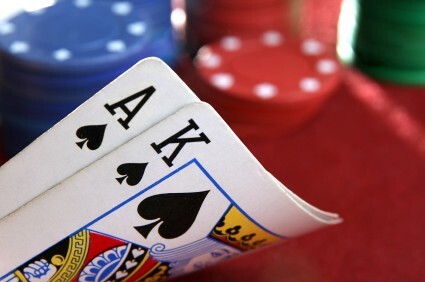 The Flop- After the first betting round, the dealer discards the top card of the deck. This is called burning the card and is done to ensure that no one accidentally saw the top card, and to help prevent cheating. The dealer then flips the next three cards face up on the table. These cards are called the "flop." After the flop, another round of betting takes place, beginning with the player to the left of the dealer (the button). During this and all future rounds of betting, players can check, call, raise, or fold when it's their turn to bet. Fourth Street-The dealer burns another card and plays one more face up onto the table. This, the fourth community card, is called the "turn" or "Fourth Street." The player to the left of the dealer (the button) begins the third round of betting. Fifth Street-The dealer burns another card before placing the final face-up card on the table. This card is called the "river" or "Fifth Street."